Enjoy nature from the large deck of this completely remodeled 2 bedroom, 1 bath craftsman house. 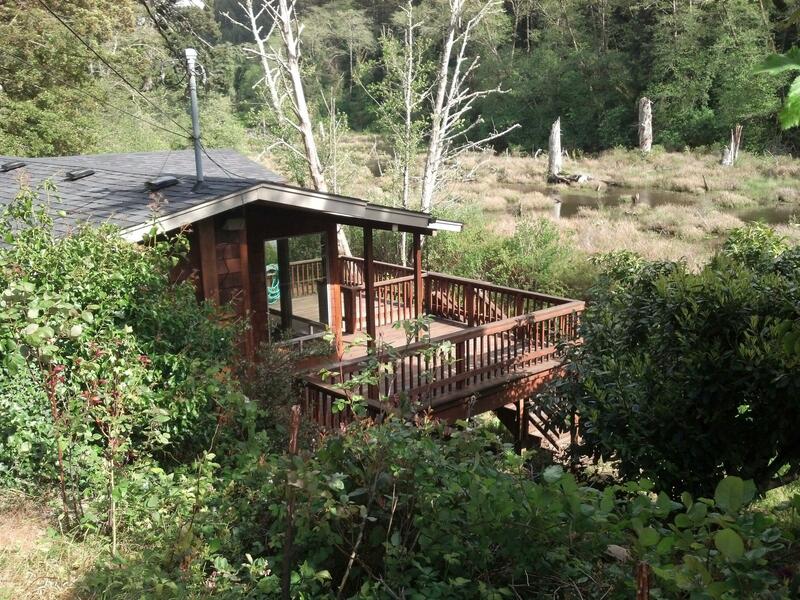 You will be amazed by the quiet privacy of this property (no visible neighbors), yet enjoy walking distance to the Hatfield Marine Science Center, NOAA, and the Oregon Coast Aquarium. This unique property features new cedar siding, hardwood laminate flooring, expansive energy efficient windows, electric forced air heat, custom kitchen cabinets, separate study with wetland views. There is a daylight basement storage/bonus room, laundry room with washer/dryer, as well as an area for bikes, outdoor equipment, etc. This one-of-a-kind property sits on the edge of a wetland that provides habitat for bald eagles, osprey, waterfowl and songbirds.